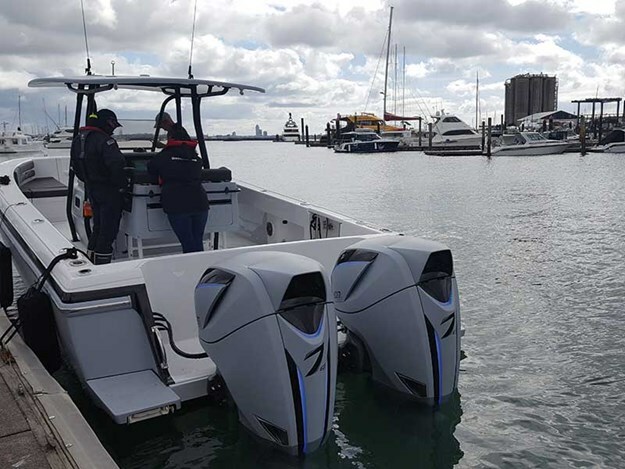 Power & Marine New Zealand—owners and operators of Seven Marine New Zealand—recently unveiled the 627S engines in the country, and to experience, what the manufacturers say, the largest and most powerful outboard, the Trade-A-Boat team headed to Z Pier in Auckland. Hooked to an Intrepid boat were Seven Marine’s twin V8 627S engines, delivering 627hp. The advanced sound engineering used ensures the V8 rumble blends with quiet cruising while not skimping on power. And at 58 knots (we hit 63 knots on our second round), the boat felt steady. At the heart of the engine is the supercharged V8 offering more power and acceleration. A closed loop cooling system, which helps in keeping the salt out of the engine, and the specialised coolant that circulates through the engine ensures the 627S remains cool and clean from the inside. Much thought has been given to the exterior of the 627S, with flowing lines and smooth contours enhanced by LED lighting strips. It’s as appealing outside as it is inside. 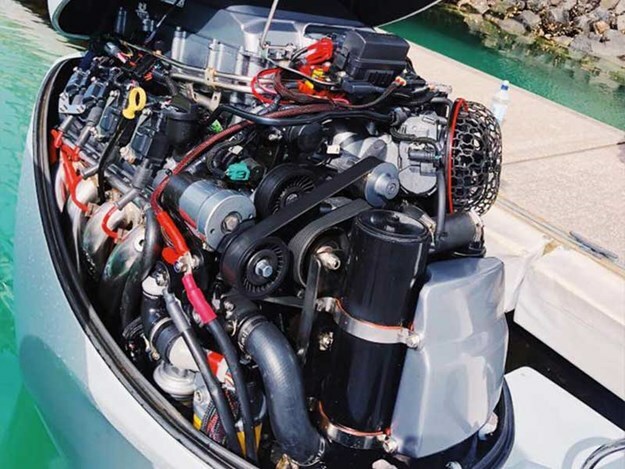 As the 627S are tailor-made, you’ll need to contact the team at Power & Marine who can customise the engine to suit your boat. 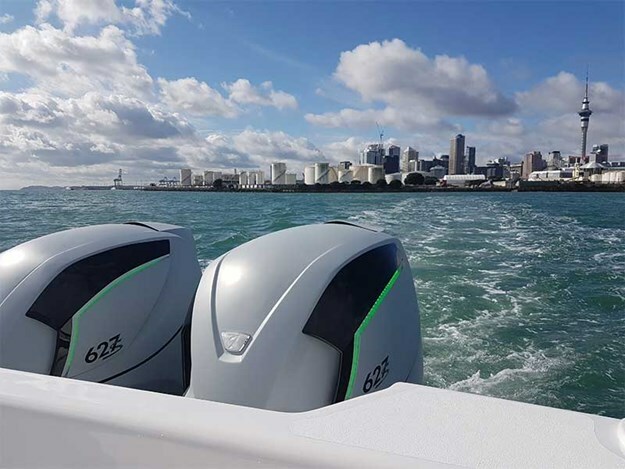 The two outboards will be on display at this year’s Auckland on Water Boat Show. To find out more, visit seven-marine.co.nz.